By Luis Bueno – RIVERSIDE, CA (Jun 6, 2018) US Soccer Players - The enduring enigma known as the US Open Cup returns to Southern California on Wednesday, but there will be a new wrinkle this year. For the first time since 2014 there will be two local MLS teams competing in this event. MLS expansion side LAFC joins the LA Galaxy as both teams will play concurrently on Wednesday evening some 12 miles apart. The Open Cup may be a blip on the radar for both teams, a bit of an inconvenience because of its place in a congested schedule. However, the teams may quickly find it a rather interesting and meaningful affair. The further both teams progress in this tournament, the more likely the two fledgling rivals will face off against one another in Open Cup play. 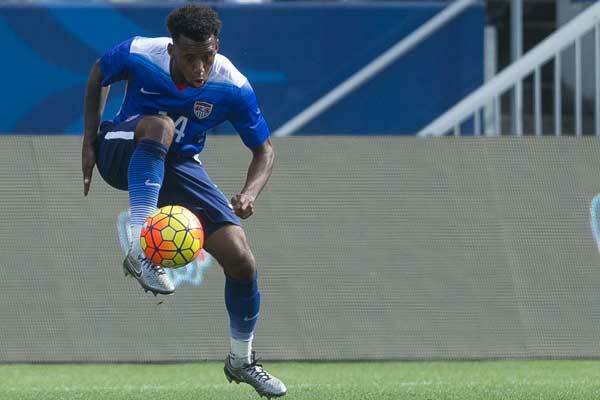 If that happens, the match will captivate locals and energize this tournament for both sides. Even if that does not happen, the teams’ challenge in the Open Cup will be simple - outlast the other. As the players take the field and the coaches prepare their respective sides for their first Open Cup matches, the other LA-based MLS team will not be on their minds. It's still important for both clubs to try and be the last team standing. For the Galaxy, bowing out before LAFC will be yet another strike against the once-mighty club, a bad thing for the team to suffer through in a season that seems to be slipping away. LAFC meanwhile may do some psychological damage to itself, particularly when facing the Galaxy in future matches, if the team cannot get past a lower-level club or two. Making a run at the Open Cup would be a stellar accomplishment for either side. While the Open Cup seems like a bothersome competition, great things await at the end. Silverware, which for LAFC would be quite the catch given this is the club’s first-ever season. There's also a spot in the Concacaf Champions League. With those two alone, it is a wonder why more MLS teams do not go all-out to win this competition. We already know the answer. The regular-season is always the priority. That will likely reflect in the lineups the Galaxy and LAFC send out in their respective opening matches. The Galaxy likely will not throw Zlatan Ibrahimovic or Ashley Cole out against fourth-round opponent FC Golden State Force. LAFC is not likely to field Walker Zimmerman or Diego Rossi against Fresno FC. If each team is still alive for Thursday's Fifth Round draw, then the two may be ready to do battle in the very near future. It is seemingly more than possible that both local MLS teams would square off against one another in the next round on June 20. While anything is possible, there was a history of potential Galaxy vs Chivas USA games in the Open Cup. The teams would have met in the Fifth Round in 2014 and in the Fourth Round in 2013 and 2012, but one side or the other didn't make it. The only time the teams played in the Open Cup was in 2005, Chivas USA’s first-ever season. The Galaxy won 5-2. For the Galaxy and LAFC to add another game this season in an elimination-round setting could propel this series further and may compel both sides to field strong lineups with first-choice players. Because of the World Cup break, neither the Galaxy nor LAFC would have a match in the ten days leading up June 20. LAFC returns to league action on June 23 with a home match against Columbus. The Galaxy do not play again until June 30. Both sides would be missing their respective World Cup players, including Mexican internationals Giovani and Jonathan Dos Santos on the Galaxy side and Carlos Vela for LAFC. That potential Open Cup game could feature another Ibrahimovic vs. LAFC. That would be quite the enticement for supporters on both sides. The Open Cup does present hurdles. If LAFC were to reach the Open Cup semifinals, for instance, the club would play 11 games over an eight-week stretch. The Galaxy would play one fewer game over the same time frame if a run to the semifinals is in its future. Midweek games are never ideal, particularly with travel involved on the weekend. That's what makes the Open Cup difficult and makes it an afterthought and near-nuisance. Until MLS devotes weekends for Open Cup fixtures, it will continue to be that way. For now, though, the local MLS clubs can only play the games on their respective paths. The Galaxy needs any positivity it can get. Saturday’s 1-1 draw at Portland was certainly encouraging even if the club failed to hold onto a 1-0 lead. LAFC meanwhile faces its most difficult test to date. 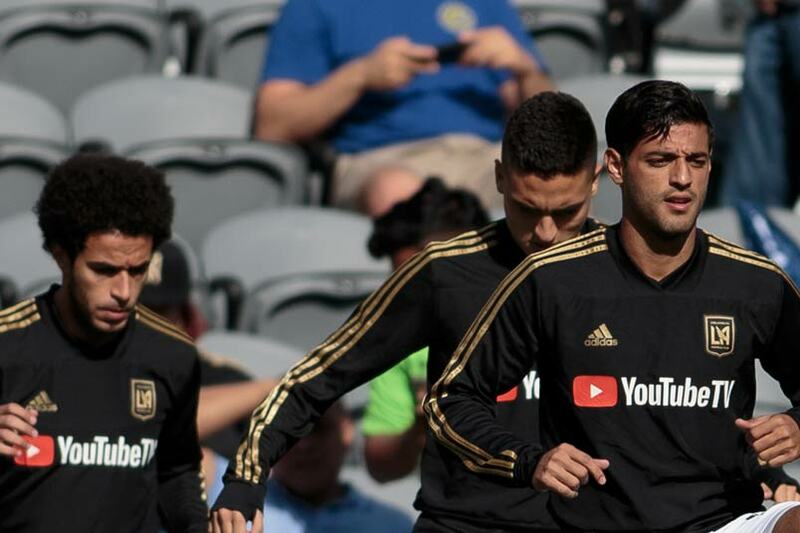 Without World Cup-bound players Vela, Marco Urena, Omar Gaber and possibly Laurent Ciman, who is on standby for Belgium, LAFC will be missing some key players for the rest of June and into July. Combine that with Open Cup fixtures and the objective for Open Cup matches may be to field the seldom-used players and let them have at it. Considering the circumstances, it would be an accomplishment if either the Galaxy or LAFC made a run at the Open Cup title. If the two sides were to meet and add a fourth meeting in 2018, that would make this tournament a memorable one for both teams and Southern California soccer overall.